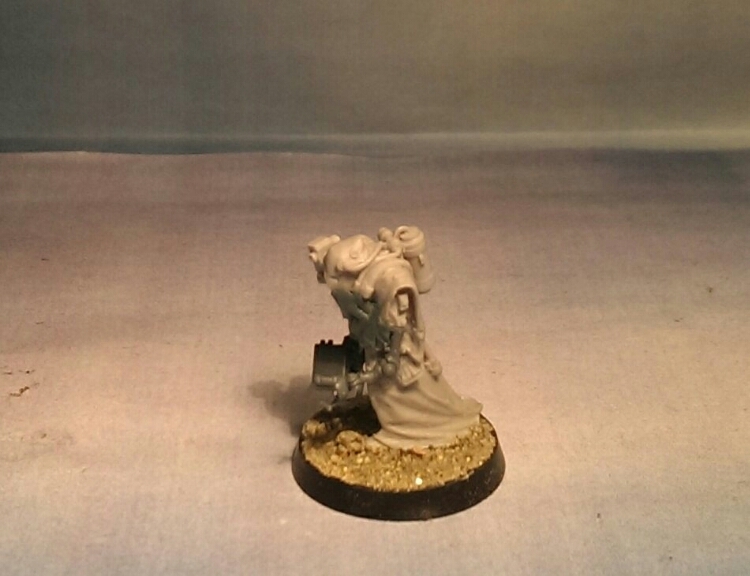 The second and last miniature in this warband with no metal parts! For some reason though it might seem illogical for an Info-Executioner I wanted a scribe. Maybe to offset the destruction of information they document what they can? I dunno, I just know I wanted this scribe. 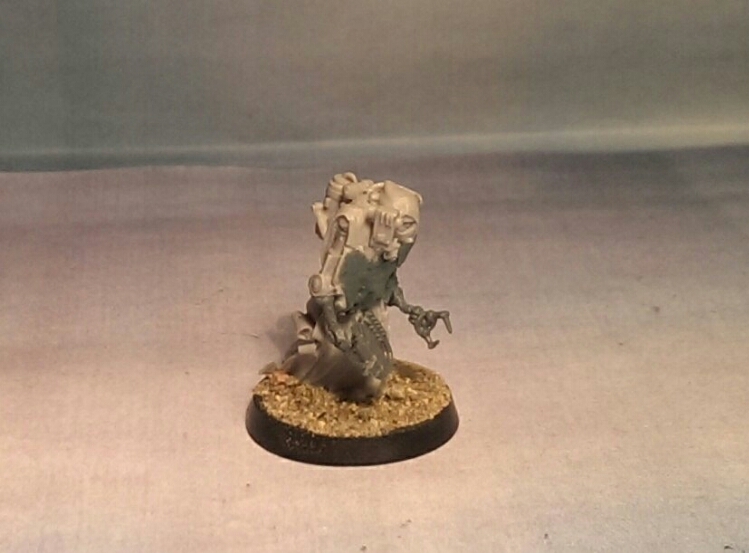 He based on one of the servitors from that DKoK figure that collects equipment from the dead and put it to use again. Originally this one carried a bundle but I carved it away and gave him new arms, a pad and greenstuffed a new front on his cloak. This one is actually pretty much finished besides a paintjob.